Part of how Jeff and I continue to enjoy our motorcycles is by tuning in to popular culture in the motorcycle world. Orange County Choppers– the TV show about Paul Teutul Sr. and Paul Jr. is returning to the Discovery Channel tonight. OCC ran on Discovery from 2003 – 2010 and did a lot to feed the fandom around Choppers. It was one of those reality shows that could make you proud, then make you mad, then make you cringe- but it had motorcycles in it and we loved it! When the Discovery channel announced that OCC was returning this year for another season- we knew we’d tune in. If you’d like to see the reboot or just see what it’s all about, check out the Discovery Channel. You can watch the season opener online and check out the second episode tonight at 10pm. 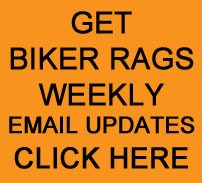 This entry was posted in Enjoying Your Motorcycle and tagged Biker Rags, Orange County Choppers. Bookmark the permalink.